Strange Magic is inspired by the color magic of the flowers I grow. I have spent many years gathering the rare tropical flowers that provide fragrance and beauty in my organic garden in Miami, transforming them into strongly-scented tinctures. Some have been used in perfumes in the past, but this is a new approach, born of an observation that stunned me. Some flowers, when tinctured, or distilled, create a colored tincture that defies the color of the original flower. Some white flowers turn crimson or amber in a tincture, ylang ylang turns green, then so dark its opaque. Some white flowers turn blue, well, the colors are just surprising! I believe this is the first perfume made almost entirely of tinctures, with some color magic essential oils and absolutes in the blend. 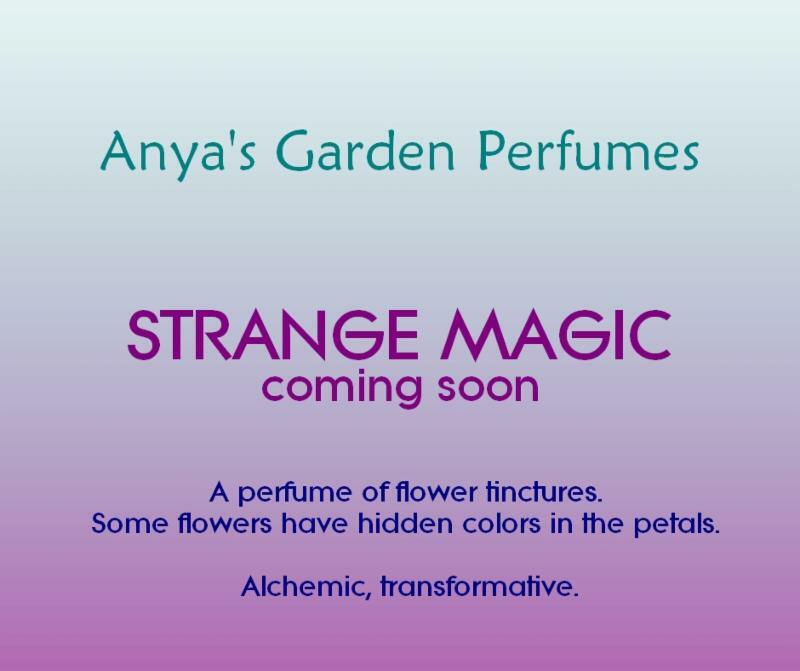 Strange Magic will be launched later this month, and I will post a guide to the flowers and their transformative color magic when the scent is extracted. The other magical aspect is that the scent is very, very close to the scent of the living flower, since no heat was used in extracting the scent. Magical! I was a toddler when I first raided my mother’s perfumes. I was besotted with the heady perfumes of the 50s and 60s, and would play with them for hours. 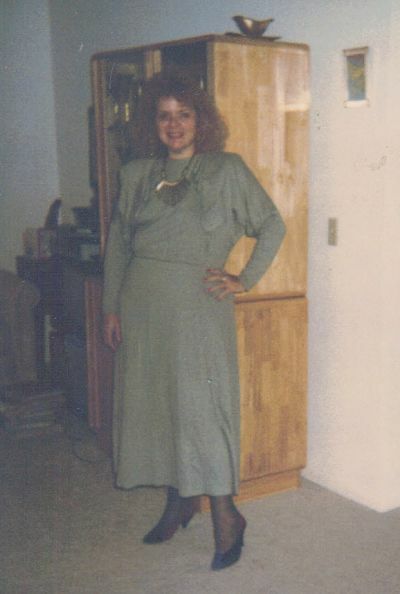 In her later years, my mother came to live with me in Miami, and she loved the natural perfumes I make. 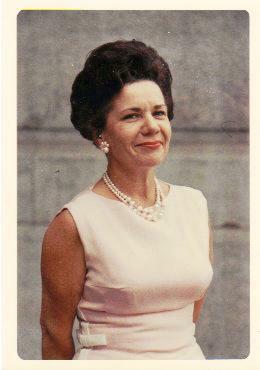 Moon Dance was her favorite, and I do admit it is closest to the vintage perfumes of her era. Use the discount code earthalways at checkout for 20% off all perfumes and luxury natural soaps through Sunday, May 7th so that your lovely gifts can be shipped in time to reach your mom by her special day. Live in the USA? Free shipping! Please visit Anya’s Garden Perfumes to choose your Mother’s Day fragrant delight. 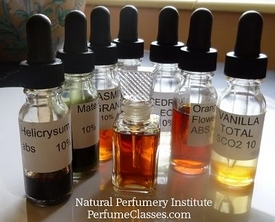 Have you been wanting to learn perfumery? I started teaching in 2007, sixteen years after I launched my first perfumery line, bringing experience in techniques, processes, and business and legislative matters. The textbook for the Basic Course is written at the university level, and the education you’ll receive is broad in scope and precise in detail regarding the art. I don’t offer discounts often, so take advantage of 20% off the course. Read more here, and I hope to see you “up your game” and enroll in this course, a labor of love for me. Click here to read more. Discount code is earthalways and ends Monday, May 8th. Discount does not apply to kits. 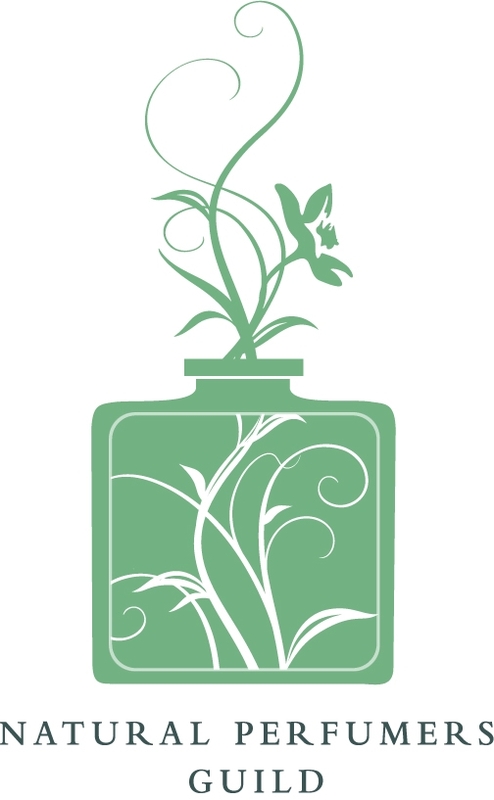 The Natural Perfumers Guild was established in 2006 and is the only international trade organization dedicated to promoting the beauty and benefits of 100% natural fragrances and giving a voice to the artisan natural perfumer. Our mission is to gather, strengthen and empower our existing member community, increase public awareness through education about pure and natural perfumes, and establish standards of excellence in perfumery by protecting the traditional art of perfumery through ethical standards. The Guild also addresses legislative issues that affect natural perfumery. Our Code defines the elements that make us a self-regulating organization. Our standards for our Professional Perfumers are the highest in the world regarding the use of natural ingredients. Please see the Definition of Natural Perfumery link in the menu and feel free to contact the Guild if you have any questions about natural perfume. Join us as we enter our 12th year, and enjoy the benefits of the community, while supporting the advancement of natural perfumery. In the coming year, we will be working on a definition of perfume permaculture, looking at ways to promote sustainability in the art. Climate change has accelerated the rise in issues concerning raw materials, and demands by consumers are two main areas to address. The Guild encourages artisan distillers, micro perfumery businesses, and a paradigm of respect and responsibility towards natural materials. You can read of our previous projects, white papers, and benefits – such as downloadable vintage perfumery books – here. 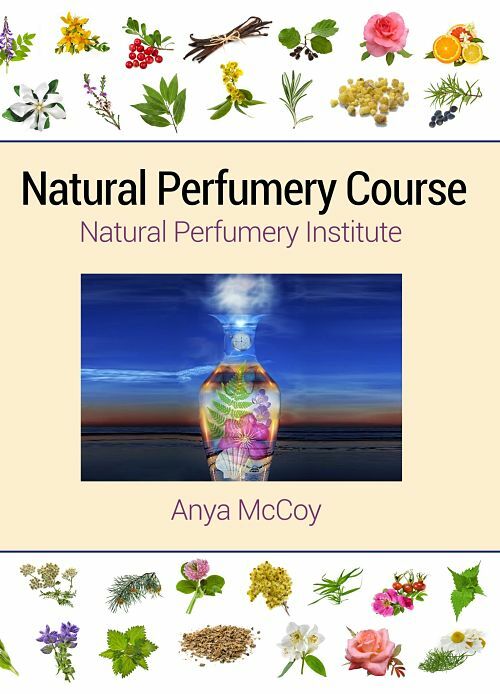 This entry was posted in Anya's Garden Perfumes, How to Make Perfume, natural perfume, natural perfumery course, Natural Perfumery Institute and tagged Natural Perfumers Guild, natural perfumery course, strange magic on May 3, 2017 by Anya. Learn how to dilute aromatics, use a scale, and work with professional evaluation forms to record your impressions. Perfumers need a jolt, or a boost to the thinking process, to help them come up with a descriptive word for various aspects of a fragrance. When making modifications (aka mods) to choose the perfect perfume, it helps to have both the Aromatic Lexicon that I supply my students with, and the next step, a shorthand way to jot down those descriptive terms. 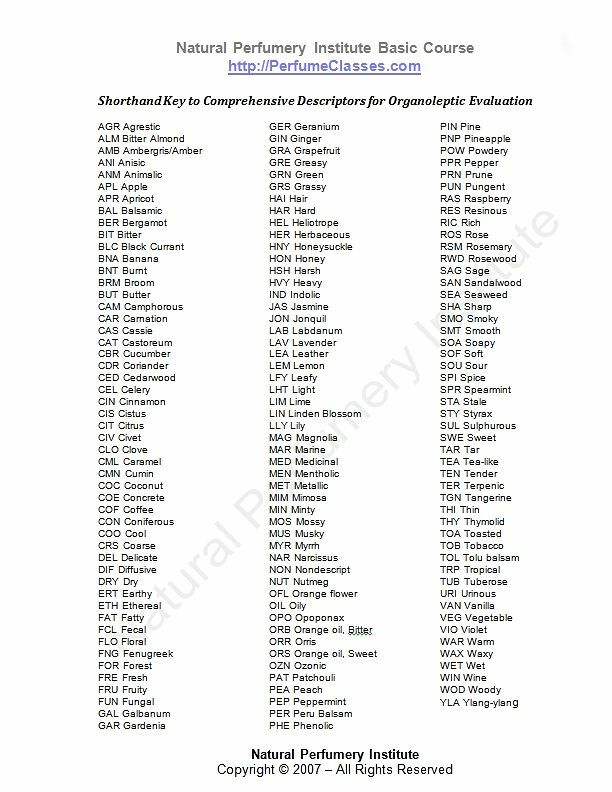 The following shorthand key included in the textbook for The Natural Perfumery Institute, (NPI) is valuable for this, and I’m sharing it here to pay it forward to those who need some help with their word searching. I hope you find it useful. If you’re considering studying perfumery, join us at the NPI, and you’ll find the textbook and supporting materials will give you an outstanding perfumery education. You can right-click the image and save it as a .jpg, or copy and paste the individual entries, below. Saving the individual entries will give you the chance to create a document of your own, and add the descriptors your develop in your studies. I provide my students with an editable Word.doc to do this, and they really come up with some creative terms! Use the document as a jumping-off point to allow you to add to when new terms arise during your observations. Feel free to share this with your perfumer friends, and most of all, have fun! 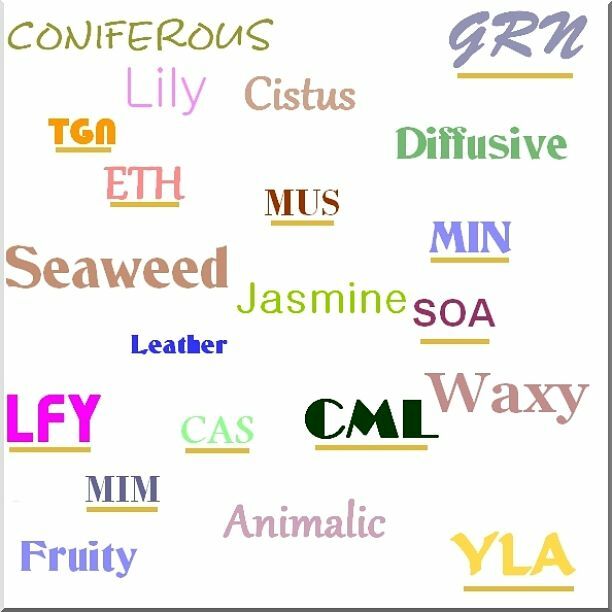 This entry was posted in natural aromatics, natural perfumery course, Natural Perfumery Institute, raw materials of perfumery, study perfumery on October 13, 2015 by Anya. 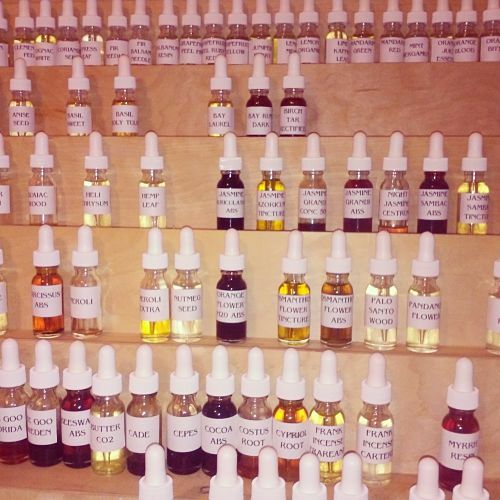 Making perfume takes time, and lots of thinking and introspection. As I work through adapting my textbook for my new website, I am finding many passages that are very helpful for anyone who wants to make perfume, or is already making perfume, whether you stick to 100% natural ingredients like I do, or if you use aroma chemicals. I’ve decided to excerpt some passages on a regular basis, because I believe they can inspire and help others on this path. My first excerpt deals with the fear and indecision that every perfumer faces. If you don’t face it, I challenge you to challenge yourself, you’re too complacent. Springtime image from the Rodin Museum in Philadelphia, my hometown. I grew up knowing and loving this statue. So, it’s springtime, and you’re evaluating the mods for your new perfume. Although I am an experienced, professional perfumer, I sometimes face creating modifications with a bit of trepidation. For someone like me, a generally positive, self-assured person, that tinge of fear is a good thing. It keeps me balanced, so that I don’t become overly confident that everything I create is a masterpiece, because if I feel that way, I know I’m fooling myself. Why do I instruct you to re-visit your vertical accords, although you just performed that exercise in the last Module? You might think it’s registered in your head, but I guarantee that, with your new concept or brief, you will be humbled when you evaluate your accords again. Subtle nuances, bits and pieces of it that didn’t seem prominent before, will become obvious now. Why? Because you now realize that you have to build upon the structure of that one simple accord, and you have to engage your scent memory and your artistic passions simultaneously in order to meet the final challenge in the next module – building a perfume. A perfumer cannot become too comfortable, and the perfumer also cannot be afraid. Mods can humble you more quickly than any other exercise in this course. An accessory note, which is so beloved, so necessary to give a mod or a perfume panache, can begin screaming out its aggressiveness, overwhelming the blend, or just poking out in the drydown in a negative way. Autumn — still thinking! Slow Study – taking time to make the right decision, apply the right tweaks to the perfume. My course is online, a resource in distance learning for those who cannot travel to attend a perfumery course. The 350 page textbook is the first American perfumery textbook, and it is written at the university level. For thinkers. And doers. If you’re a perfumer, or thinking of becoming one, subscribe to this blog so you receive updates on this series, which I hope will inspire and instruct. There is a place to subscribe in the right column. Your email is private, and will be treated as such. This entry was posted in How to Make Perfume, natural perfume, natural perfumery course, Natural Perfumery Institute, study perfumery on August 9, 2015 by Anya. The inspiration for the Key came from a similar resource in the book An Introduction to Perfumery by Tony Curtis and David. G. Williams. I wrote to the publishers, Micelle Press, and received permission to adapt the Key for my students. The Key is a starting point, to be used with the Aromatic Lexicon, another resource meant to jog the student’s ability to find the words to describe a scent. Once the words are found, they can be written longhand, or, more easily, jotted down with the Key descriptors. Students are encouraged to add to the Aromatic Lexicon, and also to add to the Shorthand Key, according to their observations. Both forms are provided to the students as Word documents, so they’re easily editable. For those of you interested in studying perfumery, perhaps already starting to read books and figure out the process, I hope the Key, provided below, can assist you. If you click it on, it should open up full size, and you can save it to your hard drive. If you’re serious about making perfume, encourage you to enroll in the Natural Perfumery Institute, where helpful forms like this, and a professional textbook can provide a solid foundation in perfumery. This entry was posted in natural perfumery course, Natural Perfumery Institute, study perfumery and tagged shorthand key for comprehensive descriptors of organoleptic evaluation on March 30, 2015 by Anya. 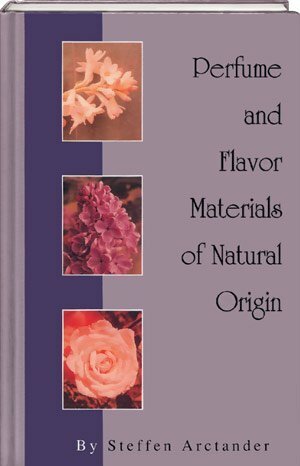 As a university professor, I wanted to provide a perfumery textbook for my students at the Natural Perfumery Institute. In 2010, this became a reality, and is the first ever perfumery textbook produced in the USA. The course is comprehensive, professional, and will give the student a firm foundation in perfumery, whether you stay with the all-naturals theme of the book, or use aroma chemicals. The techniques taught in the book apply to all forms of perfumery. My background in artisan perfumery is focused and covers several decades of perfume creation, teaching, marketing, and community building. In 2013, I became the first artisan perfumer inducted into the American Society of Perfumery, in recognition of my long career and accomplishments in the field. I want to pass the skills I have amassed over the years on perfume making to you. Creating a textbook that works with unique, professional record forms, charts and ancillary materials was necessary to provide the best education. I am offering 15% off the fee during February 2015. Pay via PayPal and the refund will be issued immediately. Please visit the course website by clicking here, and choose between the Independent Study or Private Tutorial option. If you have any questions about the options, please contact me. I urge you to take advantage of this offer and move forward in your quest to learn how to make perfume. If you know of someone who is interested in studying perfumery, please forward this to them, or share on social media, so they can obtain this course at a great savings. 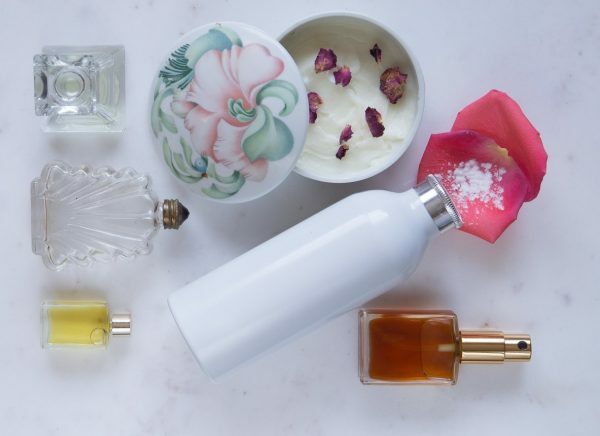 This entry was posted in natural perfumery course, Natural Perfumery Institute and tagged how to make perfume, Natural Perfumery Institute, study perfumery on February 12, 2015 by Anya. The cover for the perfumery course textbook at the Natural Perfumery Institute was due for a re-design. 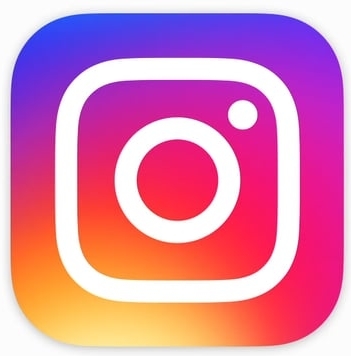 I love the new look, shown above, and I hope you do, too. The cover now cheerfully and correctly illustrates some of the raw materials of perfumery, from roses and vanilla to frankincense, and will be bound into a high-quality paperback. There are some final tweaks being worked on for the back cover, and I have to update a few items inside the book before I have a draft published. The new textbook should be available in a month or less. I left the image of the beachside bottle full of flowers, ferns, shells and a clock on the cover, a holdover from the past textbook covers. I love the way that image shows the diversity of elements we perfumers use, from onland flora, to oceanic offerings, such as seashells and seaweed, all brewing together with an important element – time. 1. Would you prefer a definite start date for studies, such as I had originally for students, with modules starting and ending on a specific date? 2. Would you prefer the “opt-in anytime signup” for studies now in place, and study at your own pace? 1. A free copy of the new textbook and enrollment in the course with the Independent Study option. 2. If you’re currently a student, once your course is completed, you’ll receive a $200 discount off the tuition of the next level of study. Remember, leave a comment to be in the drawing. You can read more about the Independent Study option at http://PerfumeClasses.com Thank you for your feedback! Tip: Use the Subscribe link on the right to either subscribe to my blog, or, if you’re entered in this giveaway, subscribe to the comments so you’ll receive notification about the winner. This entry was posted in Anya McCoy, natural perfumery course, Natural Perfumery Institute, study perfumery and tagged giveaway, perfumery textbook on October 9, 2014 by Anya.